I spent 30 minutes surfing the ‘Net to find out why cabbage soup can help fight constipation and even cause diarrhea. The answer is raffinose. Raffinose is sometimes called a fiber but more often is characterized as a trisaccharide, oligosaccharide, or complex carbohydrate. It’s all four. 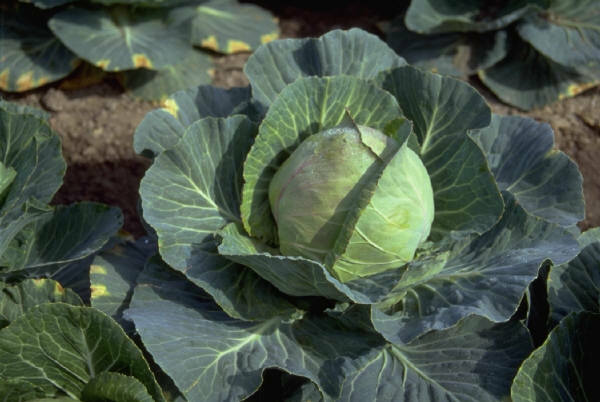 A typical bowl of cabbage soup has three grams of fiber. If you eat two bowls, that’s six grams, still not all that much, but can predictably cause loose stools or diarrhea in many folks because of a particular type of fiber: raffinose. The thing about raffinose is that it passes through the small intestine undigested because we lack the enzyme alpha-galactosidase. When raffinose hits the colon, bacteria start digesting it (aka fermentation), potentially leading to gas, bloating, and/or diarrhea. If your “dose” of raffinose is small enough, you won’t have any symptoms. To use cabbage soup as a constipation preventative or remedy, you have to experiment to see what dose works for you. PS: Ever heard of Beano? The active ingredient is the enzyme alpha-galactosidase. It breaks down raffinose in the small intestine, to simple sugars we can absorb. PPS: Raffinose is one of the oligosaccharides to avoid if you’re on a low FODMAPs diet. I’ll admit that constipation can be an occasional problem with my Ketogenic Mediterranean Diet. I usually recommend fighting it with higher fiber consumption, Metamucil, or cabbage soup. If you experience constipation on a ketogenic diet, it is not because you are eating less fiber; it is most likely because you have started eating something that you were not eating before (or a larger amount of something you didn’t eat much of before) that is hard for you to digest. In order to eat a ketogenic diet, which is a high-fat, limited protein, ultra-low-carb diet, most people find themselves turning to high amounts of foods that are notoriously difficult to digest, including nuts, low-starch vegetables such as crucifers, and full-fat dairy products.These foods just so happen to be 3 of the top 5 causes of chronic constipation, regardless of what kind of diet you choose to eat. Read the whole enchilada for her tips on countering constipation.